Pre-Purchase Inspections » Specialty Cars Service Center, Inc. 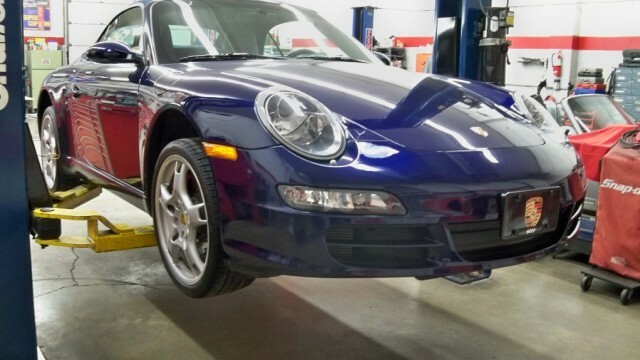 Conducting a pre-purchase inspection on a used Porsche is essential in understanding exactly what you are aspiring to buy. A used car can look great and inviting on the outside, but the vehicle’s history and overall mechanical condition can say otherwise. In order to avoid the price from costly repairs that were not made apparent at the time of purchase, we highly recommend completing a Pre-Purchase Inspection (PPI) before committing to any vehicle. This valuable service should only be completed by experienced professionals who understand the inner workings of a Porsche and are trained to thoroughly inspect even the most commonly overlooked areas. It is also important to remember that vehicle history reports do not always report every accident or issue, and certainly cannot determine the state of the vehicle’s mechanical or electrical systems. Only a proper PPI can supply this pertinent information. During the PPI, critical areas are checked, evaluated and documented. The car is fully inspected for any signs of prior accident damage (including chassis damage and prior paint work) that may have not been reported. Information regarding the current condition of mechanical components can be recorded and the PPI can determine what service may be needed at that time or in the near future. A pre-purchase inspection can range anywhere from 4-10 hours, depending on how in-depth the PPI is. While PPIs are essential and extremely beneficial, it should be noted that they cannot predict everything. For example, it is impossible to determine when a mechanical or electrical component will fail. Therefore, it is important to remember that while PPIs can help determine repairs that the car may need in the near future and document prior work and issues, all vehicles will require maintenance and their components will fail at some point in time during the car’s lifespan.